Amanda let's us in on the secretes of Orange Country. Think I'll add it to our #motherofallroatrips this year. Special since the first heading is FOOD! So much of what people know of Orange County, California is based on what they have seen on television. We aren’t all Real Housewives and Disneyland isn’t the only place to visit (although, I am a pass holder and regularly visit Disney California Adventure). Beyond the crazy reality shows and world famous tourist attractions, Orange County has so much more to offer families on holiday. As a local, I’m going to show you the real OC. 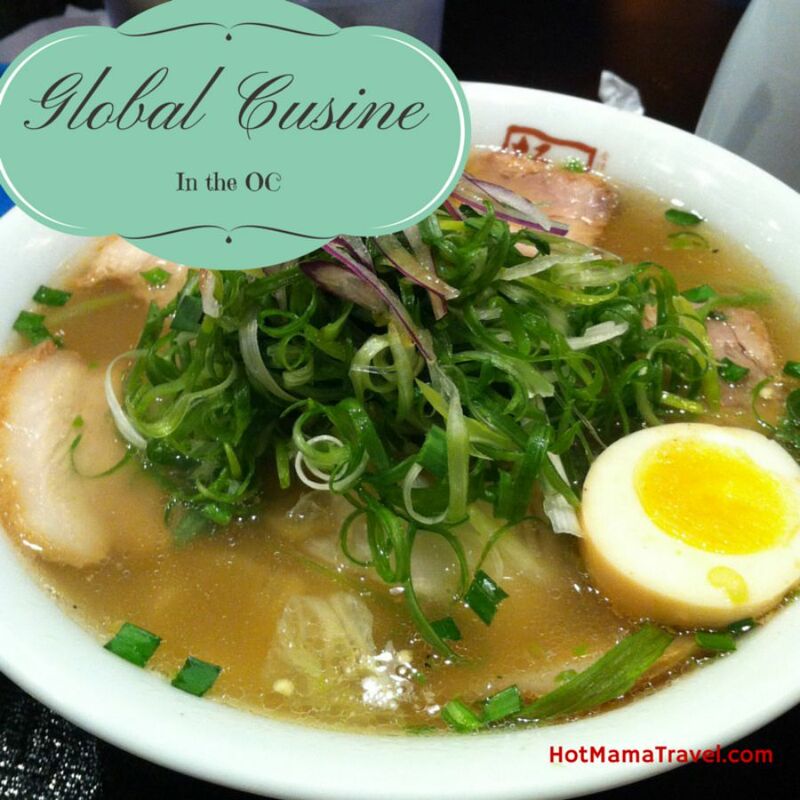 If you love really good food from all over the world, Orange County has what you need. 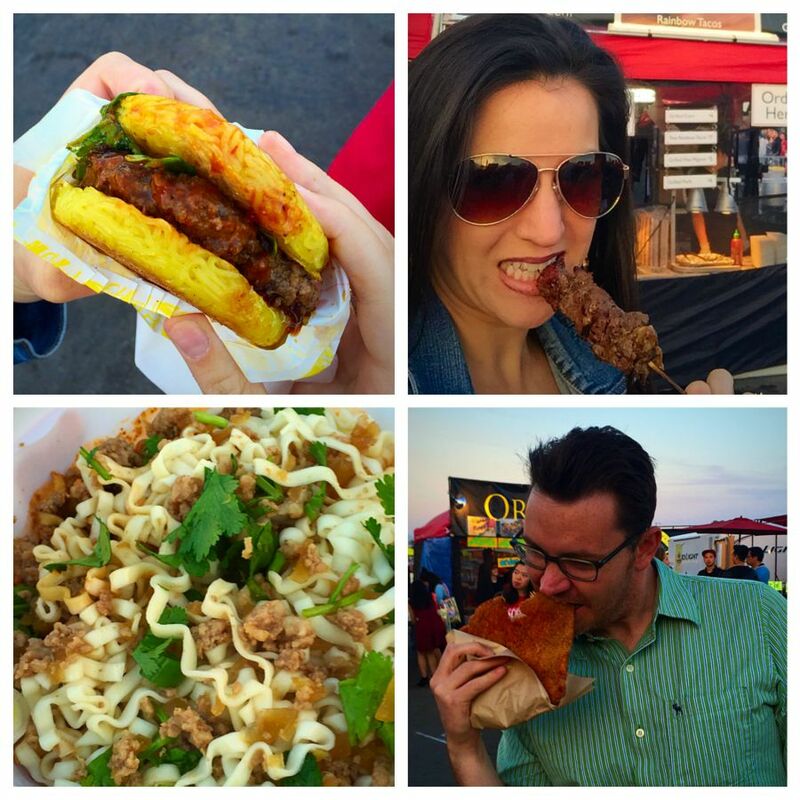 You don’t get to hear about Orange County’s food culture very much, but there are some great parts of town with amazing restaurants and global cuisine. These places are where I like take my kids to experiment with new flavors. Anaheim Packing District is perfect for families that are visiting Disneyland, because this is just down the street. Once a hub for citrus farmers in 1919 packing and shipping their goods, Anaheim Packing District has now been converted into a community marketplace with a variety of unique international food venues. They also have a ton of family-friendly events such as story time by the bonfire with complimentary hot chocolate and live music every weekend. My kids like to enjoy sushi and ramen on the patio as we watch the trains pass by. It’s delicious and very exciting. Orange Circle is also known as Old Town Orange. It is like stepping back in time with original store fronts and shady trees. While the area may be best known for its row of antique stores, it also has a great selection of locally-owned restaurants and it is also the location of the International Food Festival held in September of each year. Costa Mesa is definitely off the radar for tourists, but a favorite among locals and so worth visiting for a meal or two! Great food hides in this part of town. This is my favorite place to take the family for ramen after a day at the OC Marketplace or the beach. Also fun is The Lab and The Camp. Known as the anti-mall these two places are right next to each other and loaded with unique eateries and retail shops. Knott’s Berry Farm was once an actual berry farm, but has long been converted into a theme park with an old western vibe and fun for all ages. It is more reasonable than Disneyland, but still makes for a fun day out with the family. In fact, Knott’s Berry Farm has been the site of many of my own important family events. Angel’s Stadium is great for the sports fans in your family. Angel’s Stadium was owned by Disney, so the stadium was designed to be family-friendly! There is even a Family-Fun Zone to entertain the kids. We have some great beaches, a couple of which have been the center of television shows, but each beach has a slightly different vibe and offers unique experiences. Newport Beach is a unique mix of upscale and relaxed. It has the reputation of being very fancy pants, but there is plenty for families on a budget to enjoy. Although we love hanging at the beach, we often frequent the Newport Dunes, which is perfect for families with small kids because there are no waves. Also in Newport is Balboa Beach, which is tailored for families. The Balboa Family Fun Zone is like a mini carnival. Take the ferries wheel to experience gorgeous views of the beach and bay. If you like you can even take the ferry to explore Balboa Island. Other popular beaches in Newport include, Corona Del Mar and Crystal Cove, which both have great restaurants. Corona Del Mar is perfect for bonfires and Crystal Cove is quite secluded, with vintage 1920’s beach cottages to spend the weekend. Huntington Beach is upbeat and lively. Main Street is loaded with great bars and restaurants, which makes for a very exciting nightlife. Huntington Beach is also the site of the US Open of Surfing, attracting huge crowds in August every year. Laguna Beach is great for nature lovers and art lovers. There are coves to explore and a wilderness park that is great for hiking. Along the beach there are tons of galleries and exceptional seafood restaurants. Dana Point is a very relaxed, small town. At the Harbor is the Ocean Institute, where kids can take pirate ship rides, wildlife excursions and explore exhibits. Hot Mama Tip: The Blue Lantern Inn is a quaint country-style cottage inn with spectacular views of Dana Point and is a family favorite. Just a little further south is San Clemente, which is perfect of camping and exploring nature. There is so much to do as a travelling family in the OC. Hidden gems for foodies, variety of beaches and plenty of opportunity for family fun is everywhere. Orange County has the reputation of being pretentious and filled with crazy rich housewives, but the OC is really quite diverse and relaxed. Although the OC is home to Disneyland, it is not the only family-friendly attraction to visit. I hope to give you a taste of what the real OC has to offer. Time for you get out here and explore. Travel Writer and Family Travel Blogger, Amanda is taking her family around the world and sharing her hot tips with you. You can follow her family's adventures and travel advice at HotMamaTravel.com and follow her on Facebook.